Independent digital agency Tonic Worldwide has roped in Akanksha Singhal as its Business Head, North. Singhal will be leading the agency's operations in North and will be based in Delhi. 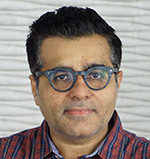 With over 13 years of experience in both the agency and brand side, prior to Tonic, Singhal worked at Cheil Worldwide, DigitasLBi and Reprise Media. She has worked with brands across many industries, including Samsung, Coca Cola, Microsoft, Axis Bank, Dabur, Reckitt Benckiser, Adidas, Bata, Jet Airways, Mothercare, ThumsUp, Kotak Mahindra Bank, Meizu, InFocus, Jockey among others.